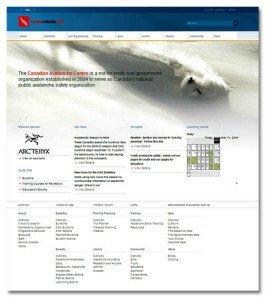 I heard some weeks back the Canadian Avalanche Association (CAA, not to confuse with the CAA, Canadian Automobile Association though) was about to re-launch their Web site. If you’ve never been there, and are planning some backcountry trip, this is a web site you’ve got to visit, and learn from. So I checked back from time to time. A few days ago it finally appeared new, well only the public and professional sections have been re-visited so far. This is a huge repository of info! I would not recommend it unless you’ve got at least 30 minutes in front of you. You can browse for hours…which might not be a good thing I admit. I got lost a couple of times and tried either the site map or the search engine to find my way back! Not a good sign, signage you might say. 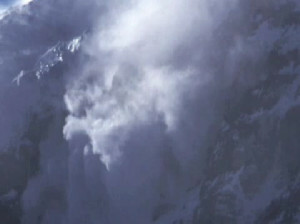 But don’t forget as it’s all about avalanches, you’ll easily get buried under one, information. So as I said, if you know your route, perfect, you’ll get confirmation there; if you don’t, stay calm, grab a coffee, warm up, make sure you’ve got 2 hours in front of you and prepare your outing! Indulge yourself, you won’t be deceived! Another thing — see the video teaser above –, there is a Canmore video production company posting some neat awareness and educational videos on their Web site. Excellent initiative I thought. 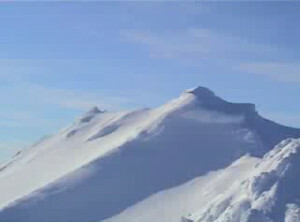 They say they’ll transfer this material to the Canadian Avalanche Association Web site some time at spring next year. Anyways you can get a look at it here. So, I grabbed two videos I wanted to show you. They come from this website. I found these videos worth sharing and I liked the concept of this website. Go get a look for yourself. This other one is called “Climax Avalanche” and is about an avalanche control mission in New Zealand going bigger than expected.